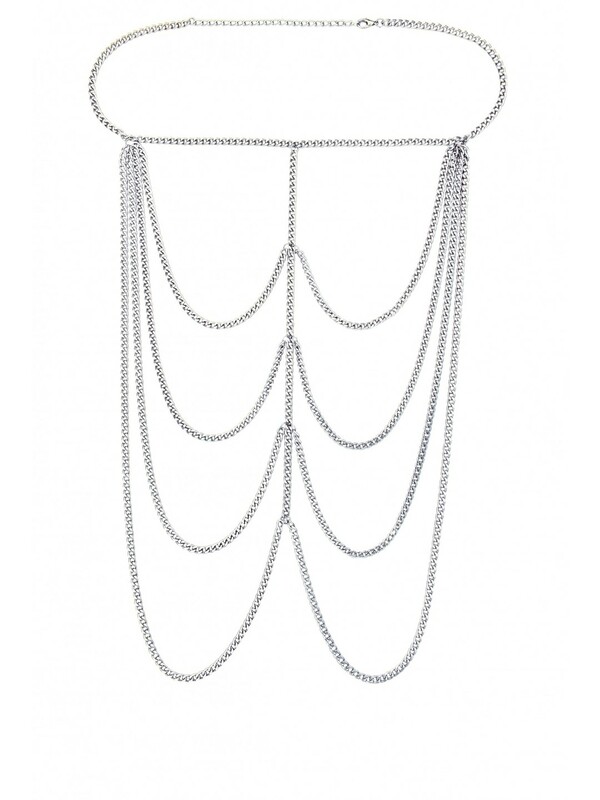 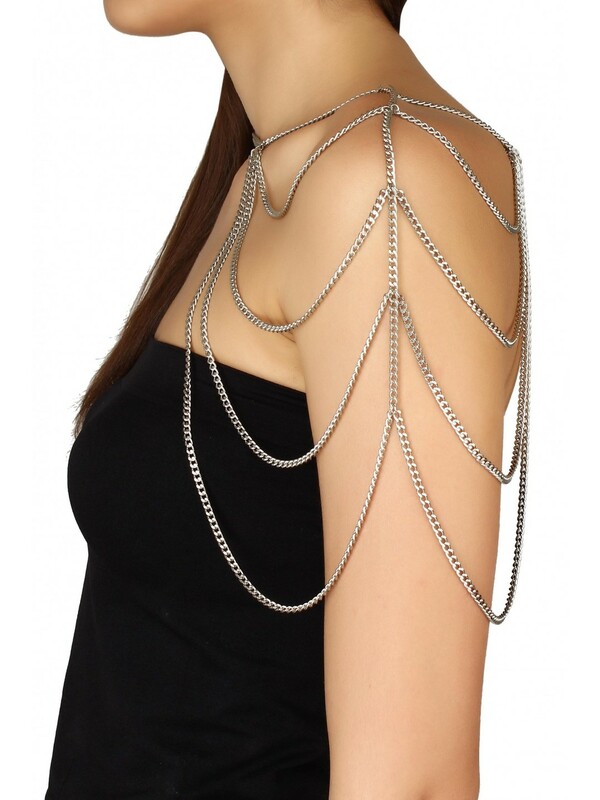 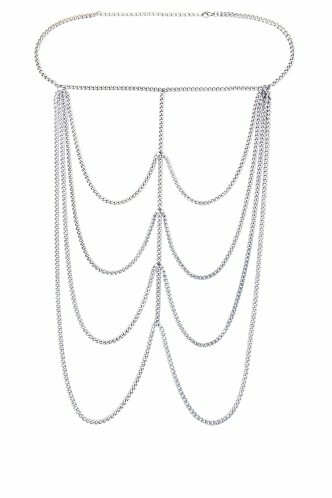 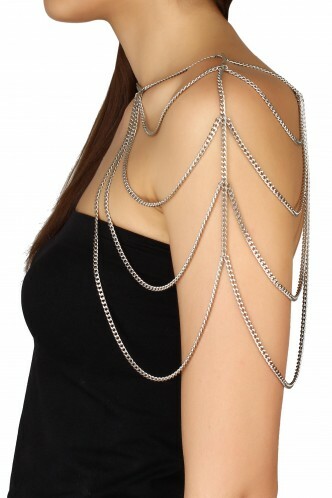 Add A little more quirkiness to your overall look with the arm chain. 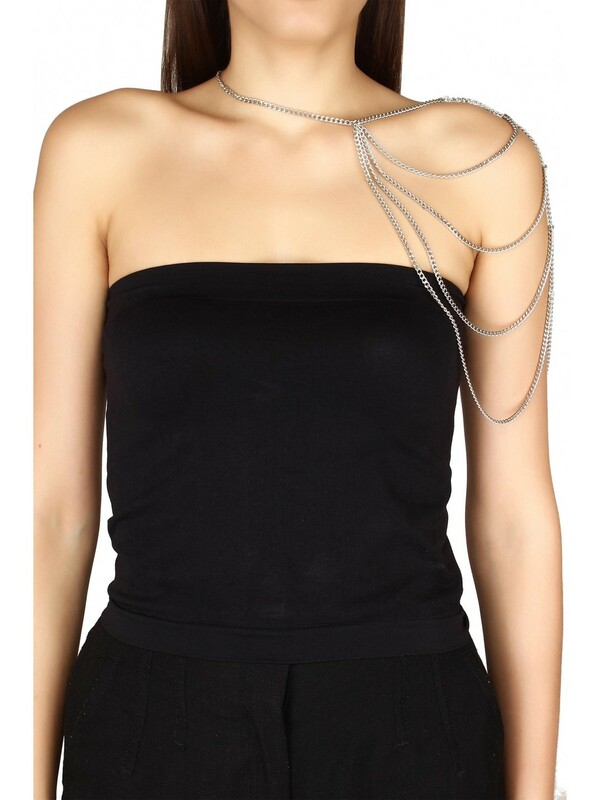 When you have the arms to flaunt, do so to make heads turn, and some topple too! 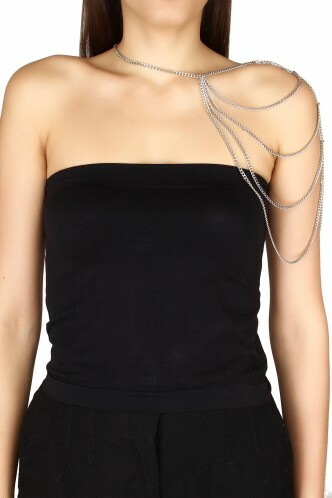 Accessorize with: A Black Sleeveless bodycon dress with some gold heels and a box clutch will complete this Edgy look!